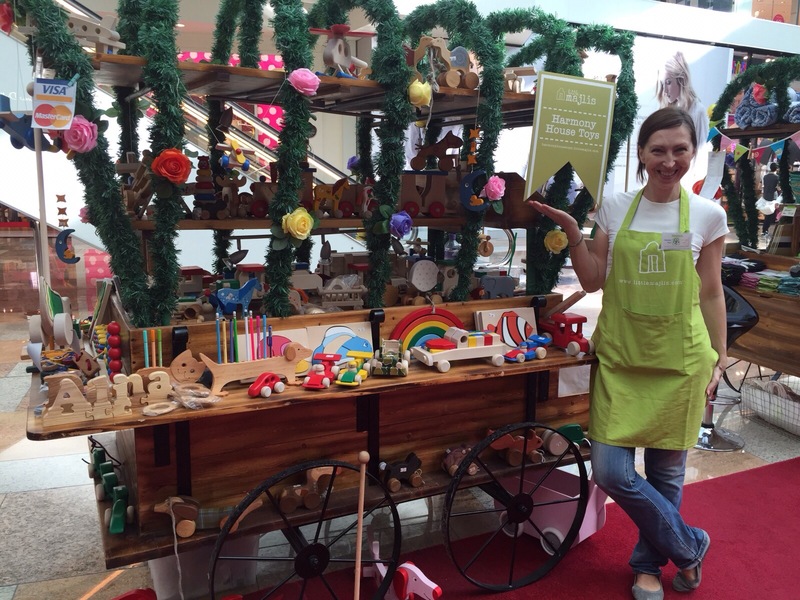 For the third edition of the Local Flair feature, we have Gabriele from Harmony House Toys telling me about her business of wooden toys for children. 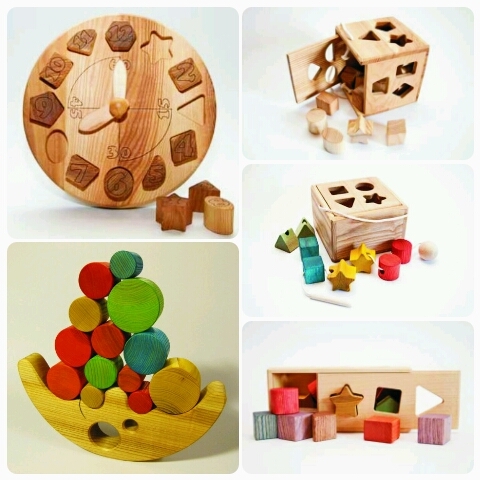 Read on to find out more about the qualities of the handmade toys and her passion to educate the market on why wooden toys are a great pick for your children. 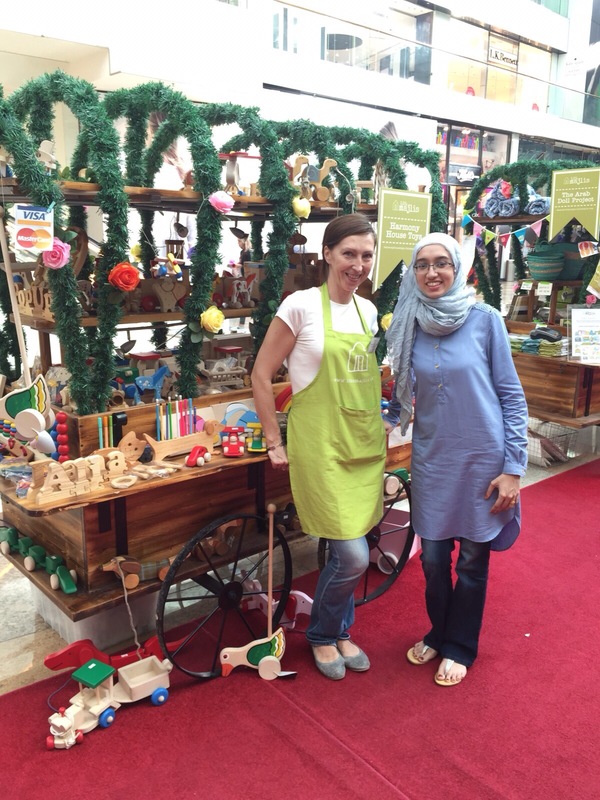 The business began three years ago when Gabriele found a gap in the market for handmade wooden toys for children in the UAE. 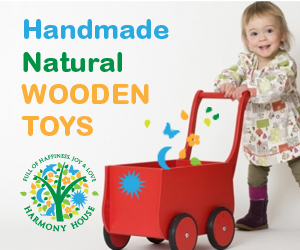 Harmony House Toys is a small business, with ecological concepts at the forefront, selling toys made out of natural wood. Harmony House Toys are made by four different manufacturers, three of which are based in Lithuania and the fourth is based in Latvia. The Lithuanian manufacturers work with Birch wood, whilst the Latvian manufacturer works with Ash wood. The wood is sourced from sustainable forests. 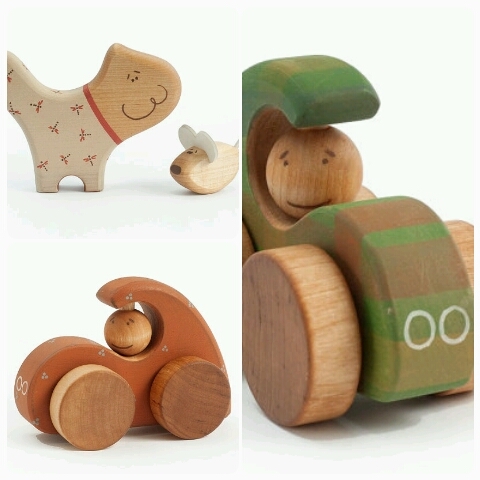 The colourful toys are painted with water based paints, and all toys are natural wood and hand crafted. Gabriele explains that the most rewarding part of her job is seeing the happy children that play with the wooden toys. For her, their smile is what makes it all worthwhile. 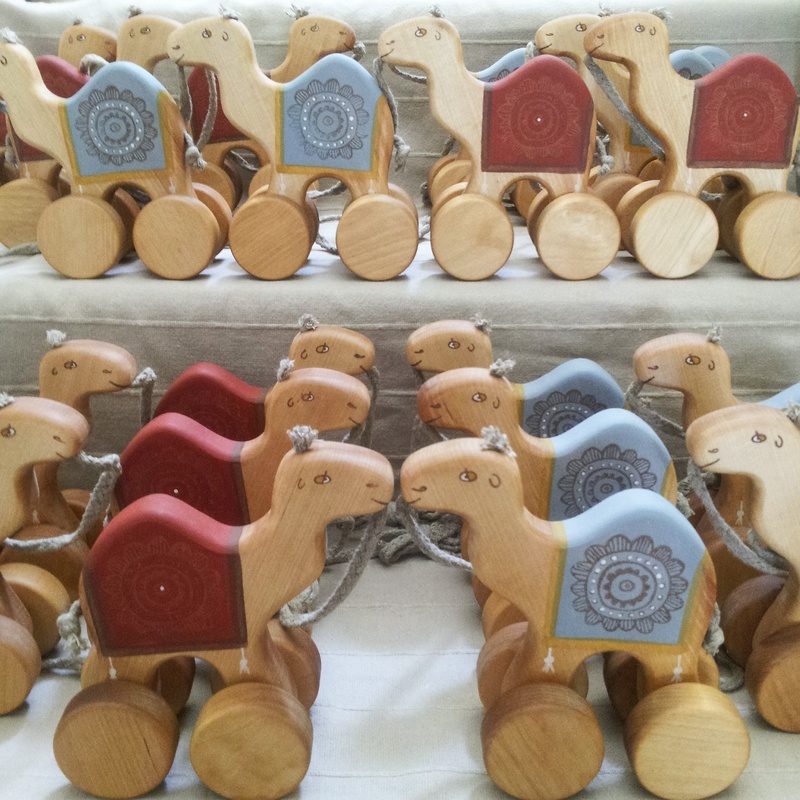 She believes that children are naturally attracted to wooden toys, and has experienced this first hand. She also loves to see that her little business is slowly growing. Gabriele feels that the UAE is not quite ready for the market that she is contributing to, and feels the UAE society needs to be better educated about the wonders of handcrafted wooden toys, especially over cheap plastic toys. All she can do is simply waiting for the market to mature, which she predicts will take another 5 to 10 years. Gabriele has also found that the majority of her customers feel that the toys are expensive, however she urges parents to buy selective toys for a child’s development that are of top quality, rather than a large quantity of cheap plastic toys. Harmony House Toys doesn’t have a particular best seller, though there are a few favourites such as the building blocks, clapping toys and the pull along toys. Gabriele has found that some days one toy may be a best seller, but the next day another toy shines through, and so it is quite unpredictable. Common questions are about where and how the toys are made. Gabriele also sells wooden teethers, which parents feel must be unsafe if their child chewed on them. However, Gabriele explains that it is in fact one of the best materials for teethers because Birchwood does not split easily, yet it is soft enough for the gums to chew on. Gabriele says that the wood also harbours fewer bacteria than plastic teethers, which is much safer for your teething baby. Gabriele reiterates that the unique thing about Harmony House Toys is they are ecologically friendly, handmade in Europe, non-toxic and created out of natural wood. She also explained that since the wood is sourced from Europe, not Asia like the majority in the market are, the wood is naturally white. Therefore, the wood does not need to be bleached or tampered with to enhance its colour. Gabriele’s dream for the business is to have her own Harmony House Toys store, or even chain of stores. She would also like to expand the business to sell children’s furniture such as swings and tree houses. She is currently working on expanding her toys line to include construction toys for older children. Harmony House Toys was kind enough to offer a wooden car for review. Baby Z wasted no time zooming around the house with his bright red racing car, practicing the new “Vroom Vroom” sounds he has just mastered. The car is so smooth and soft to the touch, and I love that it has no sharp corners that could potentially hurt him. Baby Z is very much impressed, and it makes me just as much happy since it keeps him very well entertained. Even after a couple of spins, falls and crashes, the wooden car has persevered and the paint work still looks fresh and vibrant. Harmony House Toys are also on Instagram and Facebook. All product photographs in this post are the property of Harmony House Toys, and have been used by the owner’s permission.